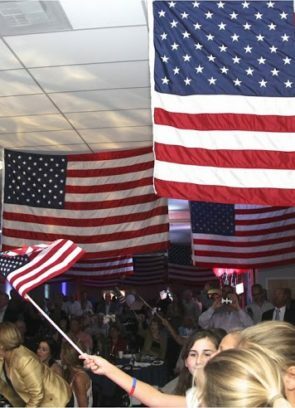 This is the wonderful time of year when our thoughts turn to the celebration of families and friends. It is also a terrific time for us to remember to reach out and help those who can’t care for themselves, and count on us … our four legged friends. Many people love animals but can’t keep them in their homes. But there are many ways that we can still help. One very special organization is called Posh Pets Rescue . As stated on their website, Posh Pets Rescue is dedicated to the rescue, rehabilitation and placement of homeless animals, many of whom are rescued at the very last moment from euthanasia at the city shelters. They rely solely on a network of foster homes and count on the generosity of fellow animal lovers to help defray their costs of caring for the safety and comfort of their rescues. We’re fortunate in our office that the Spokes Dog for Posh Pets Rescue, Little Miss Lexie often comes to visit, as she was adopted by an office mate. One day, her ‘Mom’ came into my office and asked if we had any fabric we can donate. We sometimes have bits and pieces of fabric. I gladly donated the fabric we had and she has turned them into bow ties for the Posh Pet Rescue pets! You can often see Little Miss Lexi at adoption events along with other Posh Pets Rescue’s pets, many of them wearing the bow ties. 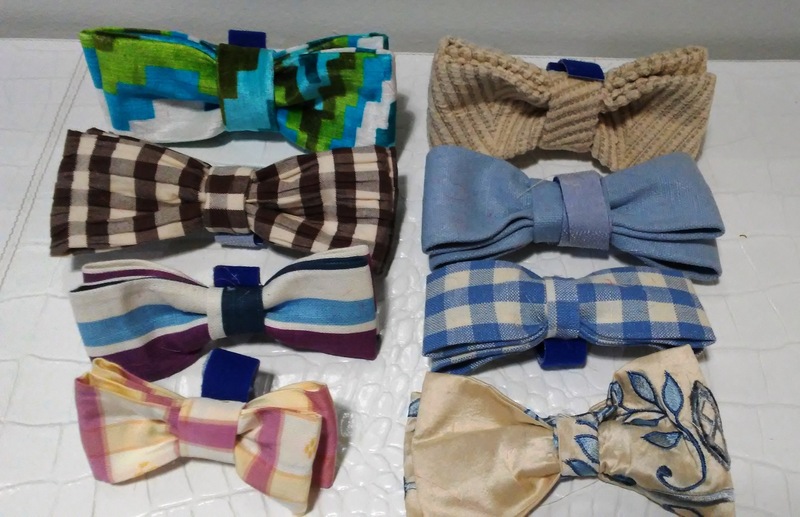 People who donate to Posh Pets Rescue at events can pick out a bow tie for one of their pets. I don’t have a pet of my own but it felt so good to see that fabric turned into a positive fundraising tool for these wonderful animals. 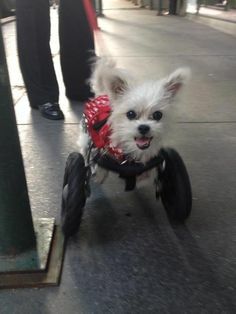 Little Miss Lexi is a ‘specially abled’ pet and is the NY Ambassador for Eddie’s Wheels and recently became a certified therapy dog. She even has her own Facebook page! My assistant adopted her ‘feral’ rescue cat from a foster home, through Pet Finder https://www.petfinder.com/ . 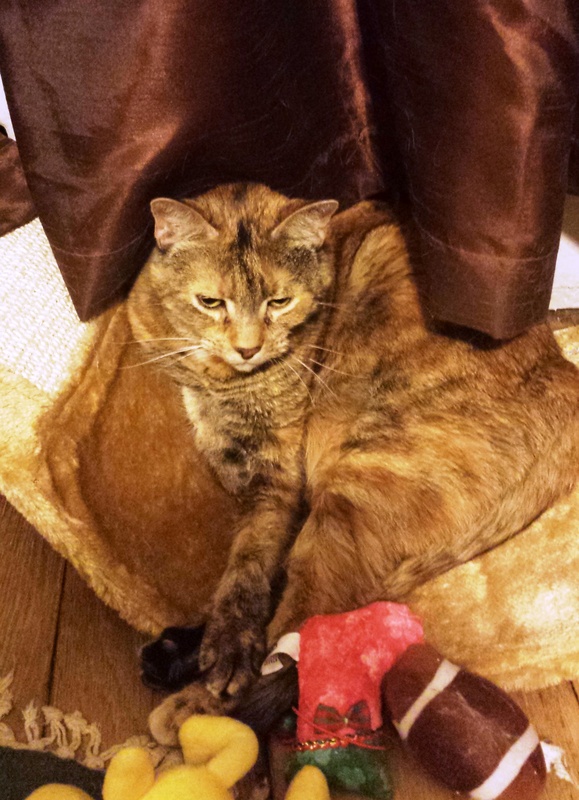 “Princess” loves to snuggle near the radiator with her toys! People can help local rescue groups by volunteering, donating items (as I did) or money, assisting in transportation, walking dogs that are at the shelter, helping with fundraising, etc., etc. You can check out the ASPCA for more information on how to help. If you already have a pet, you already know the joy of unconditional love you are given …. if you don’t have one, but have always loved animals … reach out in any way you can. It is so rewarding! I know – I used to have a farm where we raised donkeys, which are gentle loving animals, along with goats, chickens, sheep, llamas and several rescue family dogs! My life is different now, but I still love animals. Give to animals in any way you can! I promise the love you receive will out way anything you can give! Philanthropy – it is good for the soul. Learn about an organization dear to my heart.